If we say that iPhone or iPod have totally changed the way you listen to music, then Apple Watch allows people to enjoy music more arbitrarily in the daily life and work. Let's suppose that when you leave iPhone at home and go out for a jog, you can listen to music directly on Apple Watch, or while you're listen to music on iPhone on the go, and now you want to stop or select another song for enjoying,what will you do? Frequently taking your iPhone out of your pocket seems to be troublesome, especially when you have something at hands, right? Now, Apple Watch can solve the troubles for you: ensure the Apple Watch is right here on your wrist, and you can control the music on your iPhone by taping the Watch with your fingers without taking it out of your pocket. Awesome, right? 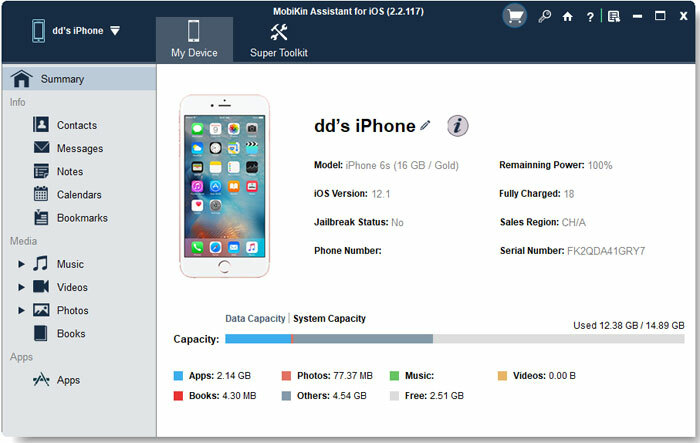 Apart from the above contents we mentioned, you also can install lots of apps on the Apple Watch and do many other activities with Apple Watch just like other iDevices, then it is inevitable that you may stored something important on your Apple Watch, including music, photos, notes, etc, right? Then have you ever wondered of backing up these data to your desktop computer in the future? Maybe you'll say No at present, but the more you using the Apple Watch, you'll store more and more data on the device, then you'll need to copy or move files from Apple Watch to Mac or PC one day. Thus, in order to provide you with a detailed tutorial on Apple Watch backup topic, we write this article to show you how to transfer songs from Apple Watch to computer in a few clicks. If you're interested in this topic, you can keep reading now. To reach it, you need to find an easy-to-use yet reliable tool as your daily assistant. 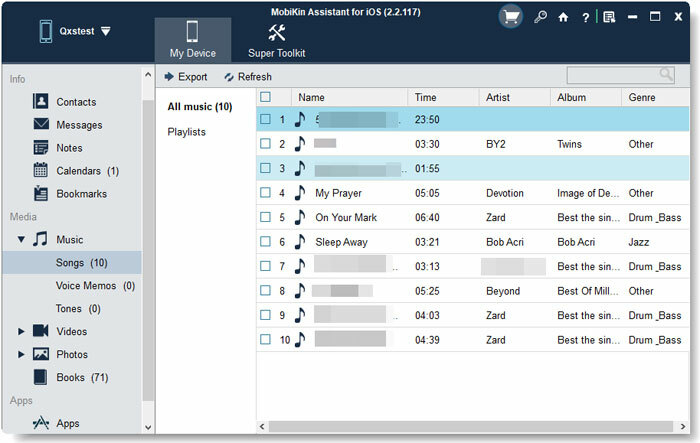 Here, we could like to strongly recommend MobiKin Assistant for iOS (Windows/Mac) for your reference. It could be the best Apple Watch Music Transfer program, which can help you export photos, music, videos, playlist, TV shows, etc. from Apple Watch to PC in a few simple clicks. And it can be works well with all generations of iPhone, iPad and iPod devices. Now, just click the below icon to get the free trial version and follow below steps to move Apple Watch songs to computer ASAP. Steps: How to Transfer Music, Songs from Apple Watch to Computer/Mac? Files on your iPhone will be divided into different folders, just go through these folders and find the data which is synced from your Apple Watch. Here, you can click "Music" option in the left column and then preview and locate the songs you need to back, directly mark them one by one. After selecting all files on your computer, you can hit "Export" button on the top menu to export and save the selected songs on your desktop computer without losing.